We wanted the BAVARIA R55 to set a benchmark and be something incomparable. A yacht so good that it’srespectful of its heritage, contemporary with the present, ready for the future. 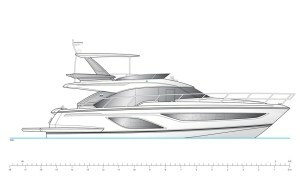 The result: a pioneering, dynamic hull design without equal. 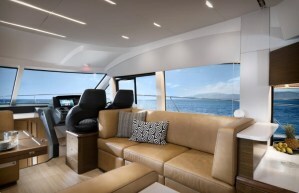 Then there is the intentionally low‐profile flybridge and deck lines ‐making the boat much sleeker and more elegant. 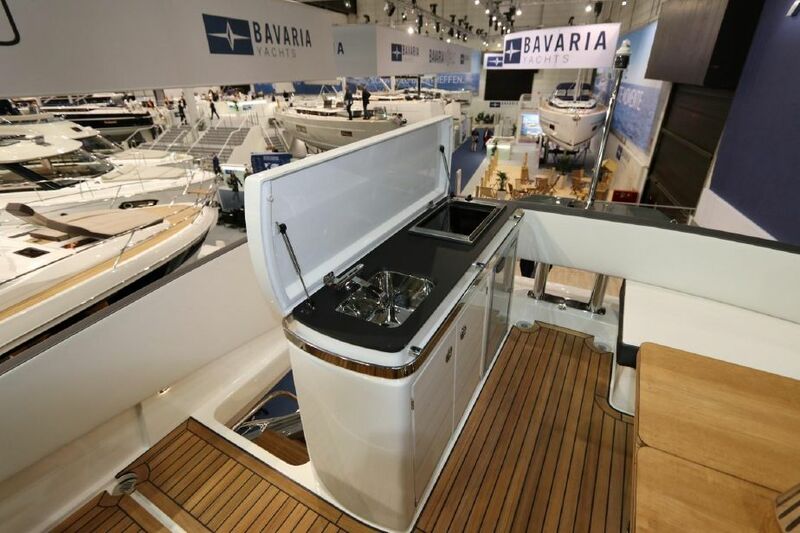 All in all, the BAVARIA R55 turns heads and performsastonishingly. A true revolution, in other words. Are you ready? ONLY THE VERY BEST STOOD A CHANCE. 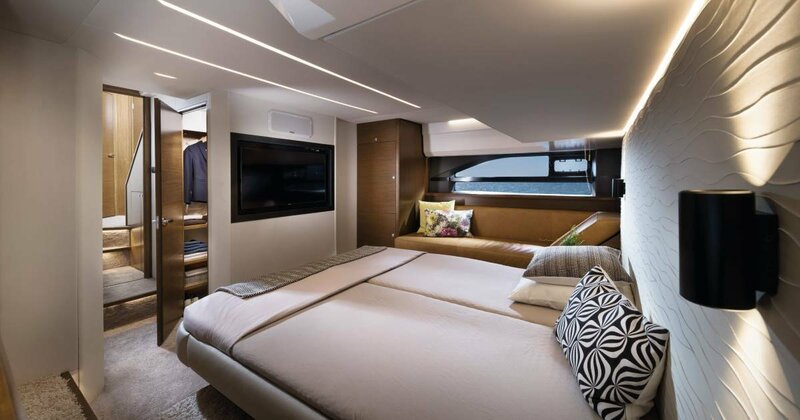 When we conceived the BAVARIA R55, we had one premise: we wanted people to feel at home on board this yacht. The same comfort, the same feeling of wellbeing. Carefully selected colours and top‐grade materials produce exactly that effect. 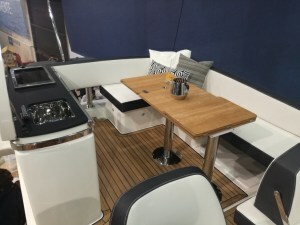 It was important to us to create spaces that are open and inviting but still provide enough privacy. We have created a wonderful space for socialising: the brightly illuminated saloon. 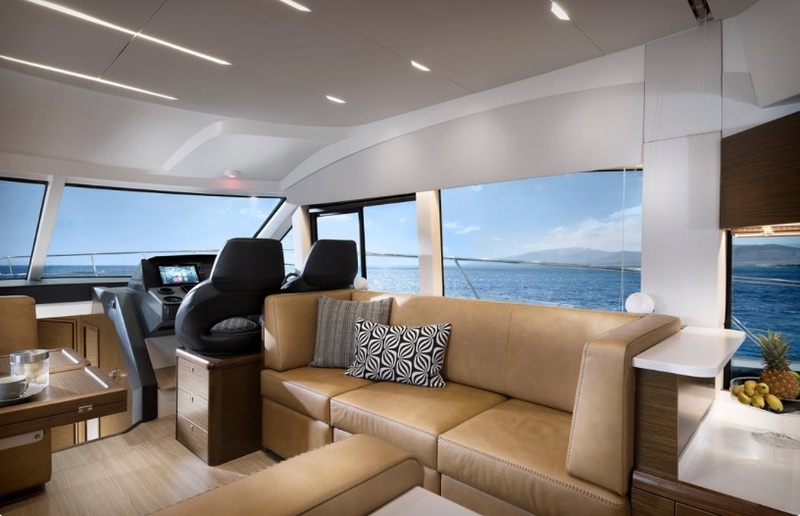 It is, in a sense, a panoramic living room on the water. Welcome home. 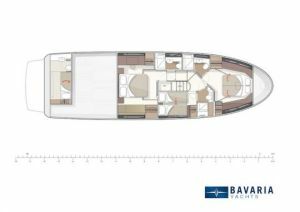 Welcome to the BAVARIA R55. 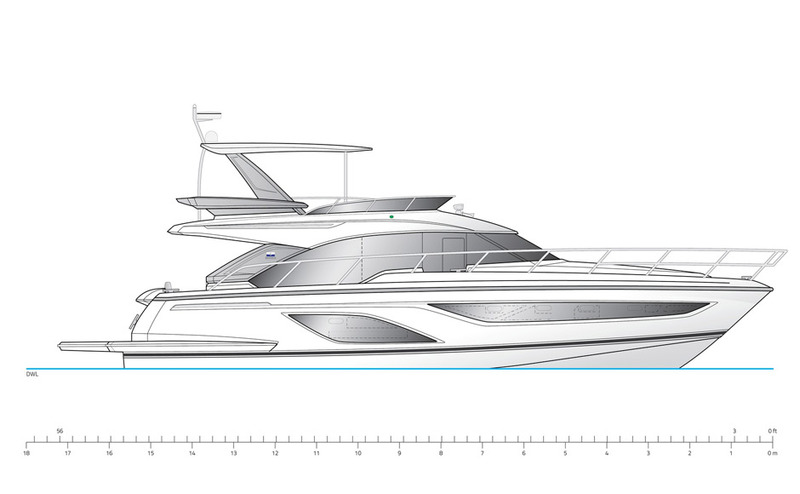 SPORTY ON THE OUTSIDE, HUGE ON THE INSIDE. 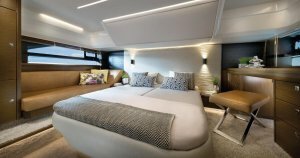 Designing a modern yacht always confronts designers with the same challenge: striking the ideal balance betweena sporty exterior and a comfortable interior. In the case of the BAVARIA R55, our team managed to give it a slimand highly dynamic exterior design while creating an extraordinary amount of space inside. 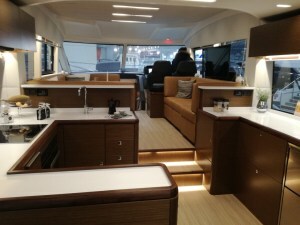 It is unique in this classand an absolute benchmark in terms of design, elegance and performance. 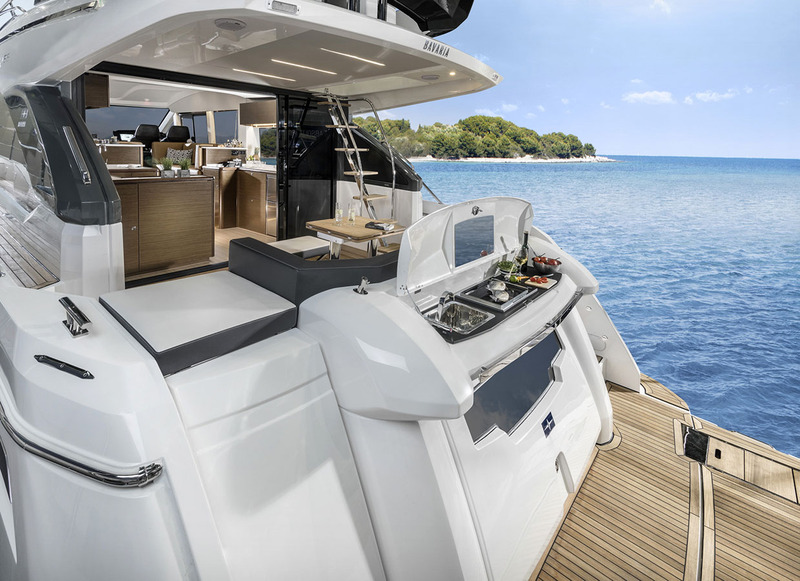 As soon as you set eyes on the BAVARIA R55, you can recognise its dynamism and elegant sportiness.That becomes all the more clear when its athletic hull rises out of the water. 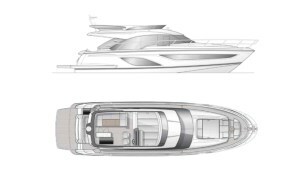 But our design team thoughtup something extra‐special and extravagant: the „knife blade“, which flows sideways into the front areaof the hull, giving the yacht an extra‐sporty touch. A CLASS WITHIN A CLASS. 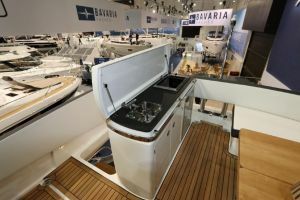 In many respects the BAVARIA R55 is head and shoulders above otheryachts in its class – on deck, in the cockpit or below deck. Take forinstance the brightly lit saloon. 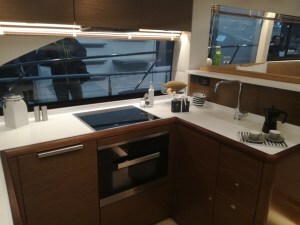 It is a true revolution and a genuineenrichment to the segment, partly because it interprets luxury in anew, modern way. The BAVARIA R55 represents the uncompromisingyachting of the future. 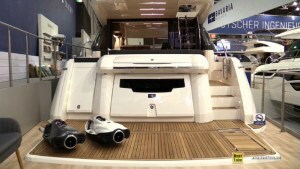 Made by BAVARIA YACHTS. 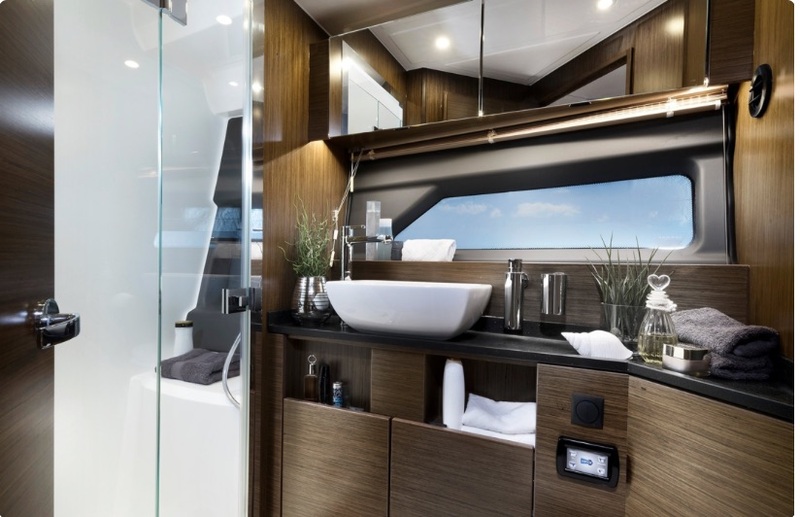 Three cabins with three separate, full bathrooms for a maximum of privacy – yet another thingthat makes the BAVARIA R55 so unique in this class. Look into the owner’s cabin and you see itextending aft across the whole breadth of the boat. 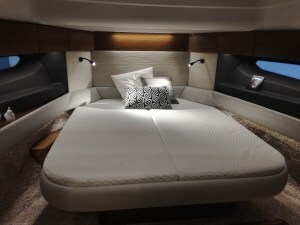 What you notice aside from the enormous,comfortable bed is the dressing table and chaise longue. A walk‐in wardrobe is another sign ofpure luxury, as is the deep‐pile carpet and cabin walls with their high‐quality finish. 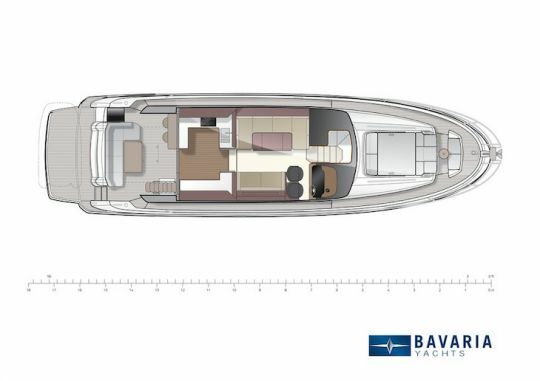 When you look at the BAVARIA R55, it’s immediately obvious that it combineselegance with pure power and performance. Three factors contributeto its outstanding capabilities, and they complement each other perfectly.The pioneering design of the hull. 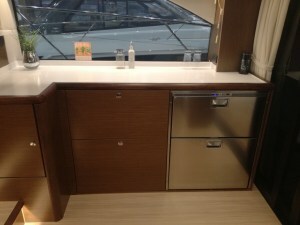 The power and efficiency of its Volvo IPSdrive unit. 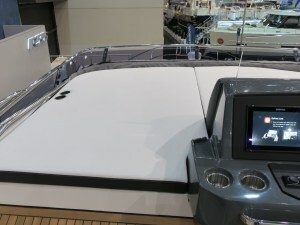 And its dynamic trim flap system. 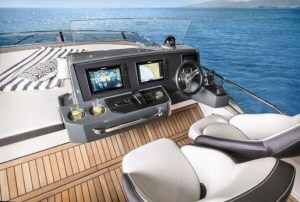 Combined and equipped withthe larger engine, they enable top speeds of up to 34 knots. BAVARIA VACUTEC – AHEAD OF ITS TIME. If sometimes you are interested in this yacht, contact us and it will be our pleasure to assist you in your transaction and this depending on the place of final delivery. The manufacturer’s suggested retail price is approximately $ 1.2 million USD, plus options. 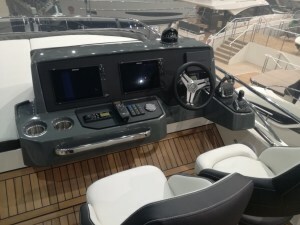 It will fiercely compete with the Carver C52 which has three bedrooms but two toilets, the relaxation areas in the front and back with the grill section and sink on the platform of the yacht is also an innovation. Access to the cabin crew is much easier than with the Carver C52. There is also the Prestige 550 or 560 and even the 590, also the Monte Carlo MC5 which will be in competition with this model Bavaria (R55). 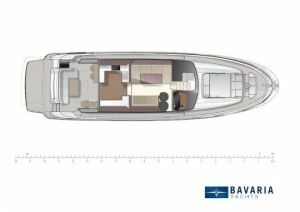 The propulsion offered on the Bavaria is more extensive. 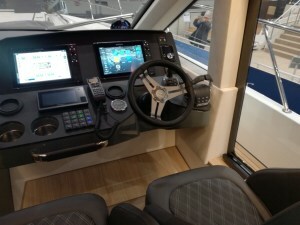 The IPS propulsion also marks a major difference especially with the Carver C52 which does not offer PODS. 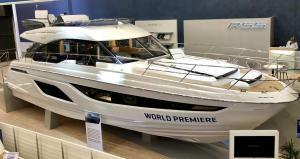 Prestige Yachts offers IPS and Zeus propulsion. See the video presentation of the first Bavaria R55 that was present at the Boat Show in Dusseldorf in January 2018.